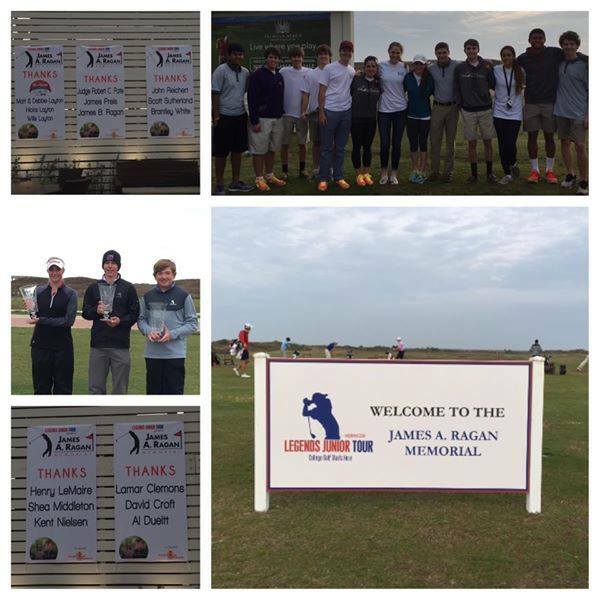 The James A. Ragan Memorial golf tournament will be hosted for its fourth year in association with the Legends Junior Tour. James Ragan, co-founder of Triumph Over Kid Cancer, was an avid golfer. He was a former Legends Junior Tour player before pediatric cancer diminished his ability to play – but never his love for the game. All proceeds from the tournament will go directly to Triumph Over Kid Cancer. Your participation helps fund research to improve the treatment and survivability of pediatric cancers. Registration for the tournament can be completed online here. The competition consists of 36 holes between three divisions: Boys 15-18, Boys 14 & Under and Girls 12-18. For more information on the tournament please visit the Texas Golf Association Website.